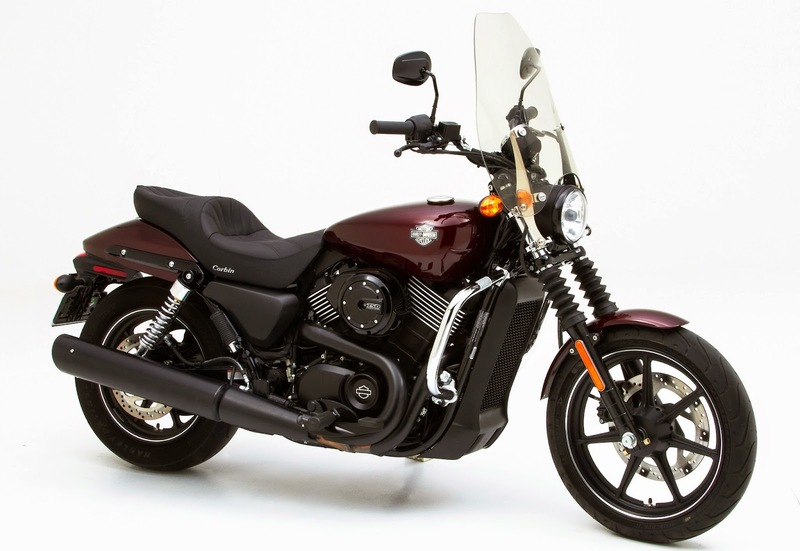 Hollister, CA- The new Gunfighter & Lady Saddle provides total comfort for you and your passenger on the new Street model Harley-Davidsons. The sculpted riding positions disperse body weight across a greater area so you enjoy mile after mile of comfort. Neutralized seating platform curbs the tendency to slide towards the tank under braking which also helps reduce fatigue. 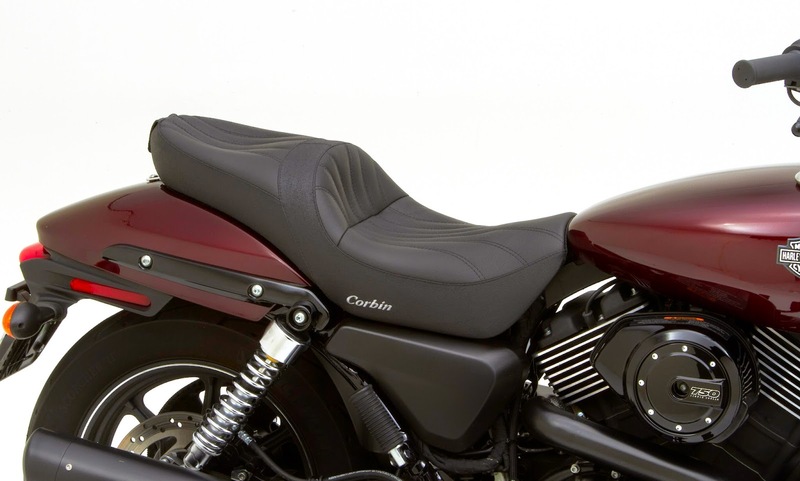 For even greater passenger comfort, Gunfighter & Lady accepts Corbin’s optional removable backrest which adjusts to provide a tailored fit to co-pilot's posture. Simple to install with just a single bolt, the Corbin backrest is the most refined system available for your bike. Designed specially to support your passenger for the long haul and provides a nice feeling of security. Backrests available in a range of styles including Corbin’s Ovalbac model, like the one shown, which has rear finishing plate options for a more custom touch. sporty, custom look, yet still provide sport touring class comfort and ergonomic support. Leather seating panels are included along with a wide range of color and material options. Leather gives you an excellent seating surface that breathes with your body and will conform with the foam shape during break in for a personalized fit to your posterior. Just be sure to care for it with a quality conditioner like Corbin’s Saddle Cream. Saddle installs easily with a tongue in the front and a single bolt into the fender at the rear. Includes all required brackets premounted on the saddle so it's ready for immediate installation. Optional backrests install into Corbin saddle with just a single bolt. 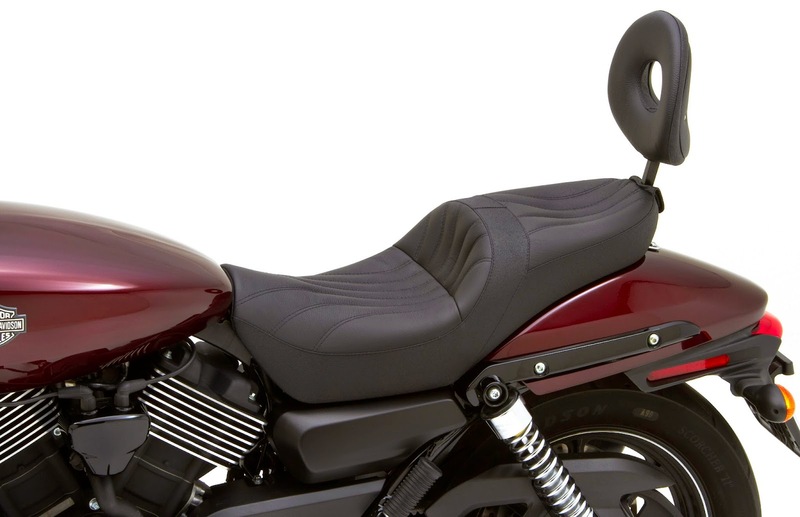 Backrest adjustment can be made without removing seat from the motorcycle.